During the month of April, New Patients receive a Chiropractic Exam, Consultation, and X-Rays for only $35.00!! Thanks to everyone who came to celebrate our 15 YEAR ANNIVERSARY with us! 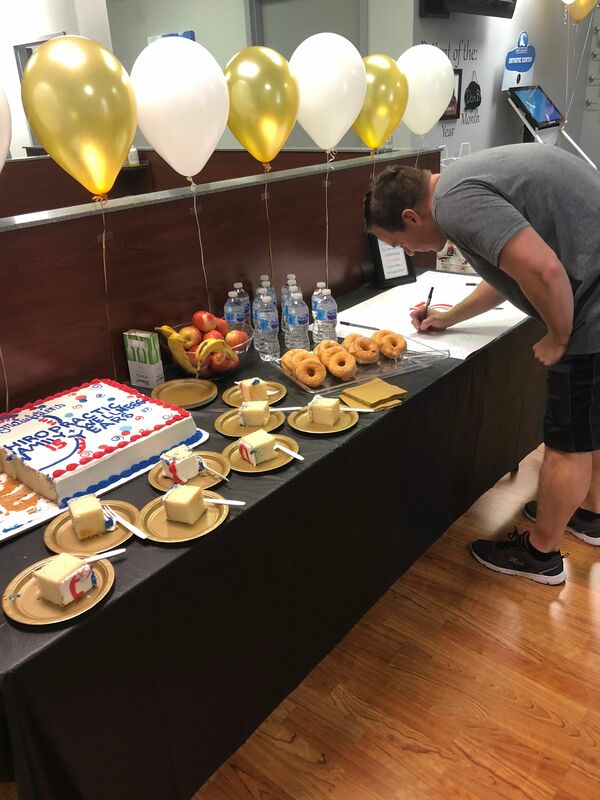 We offered free BBQ, Donuts & Cake, and a FREE gift for all who attended AND were able to treat over 115 patients! Patients also had an opportunity to share comments for Dr. Awwad congratulating him on this milestone!! Without the support of our patients, this day would not be possible - so again, THANK YOU!!! 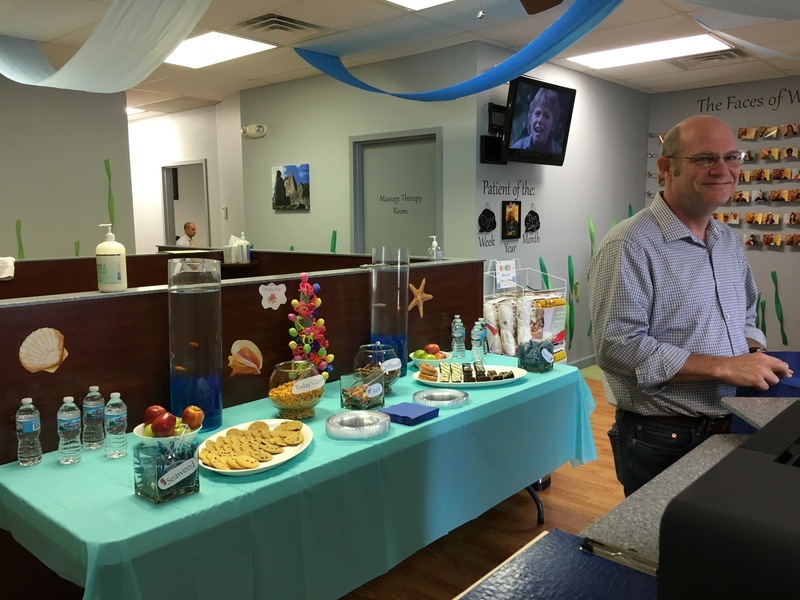 Thanks to all of our wonderful patients who came to celebrate with us! Our office was able to get over 100 people healthier through Natural Chiropractic Care. We also want to say a HUGE Thank You to everyone who was able to donate to our drive for the Missouri USO. 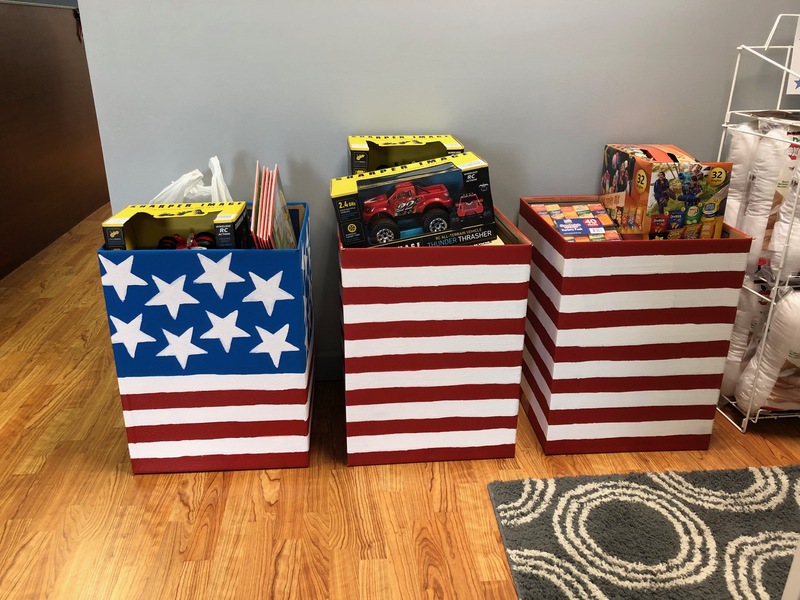 We were able to donate a large number of items to help those who serve to protect our freedom! We look forward to hosting this event next year and continue trying to achieve our goal of creating awareness and getting everyone to their Optimal health! Thanks to everyone who donated items for our Annual Thanksgiving Drive! We collected a huge amount of food and personal items which were donated to Friedens United Church of Christ. 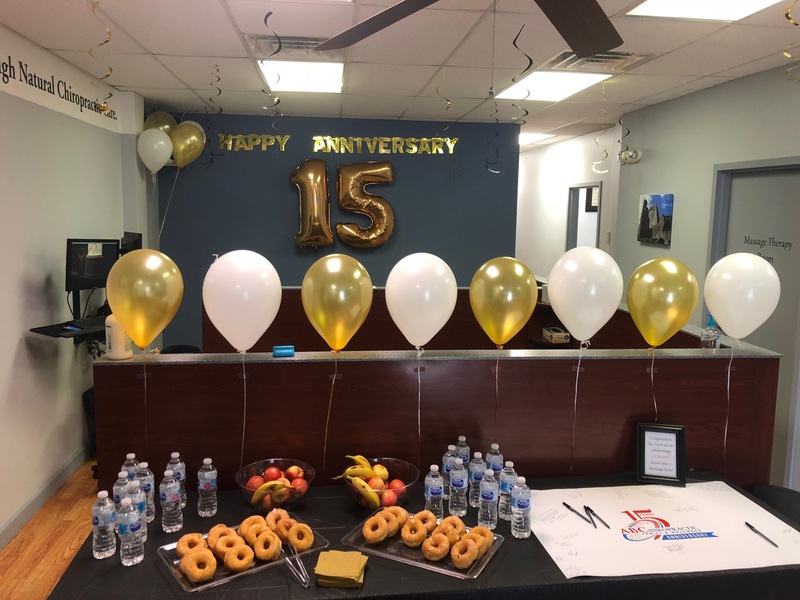 Thank you to all of our patients who joined us on Thursday to celebrate our 14 Year Anniversary!! We couldn't make any of this possible without all of our wonderful patients! 120 people healthier through Natural Chiropractic Care. 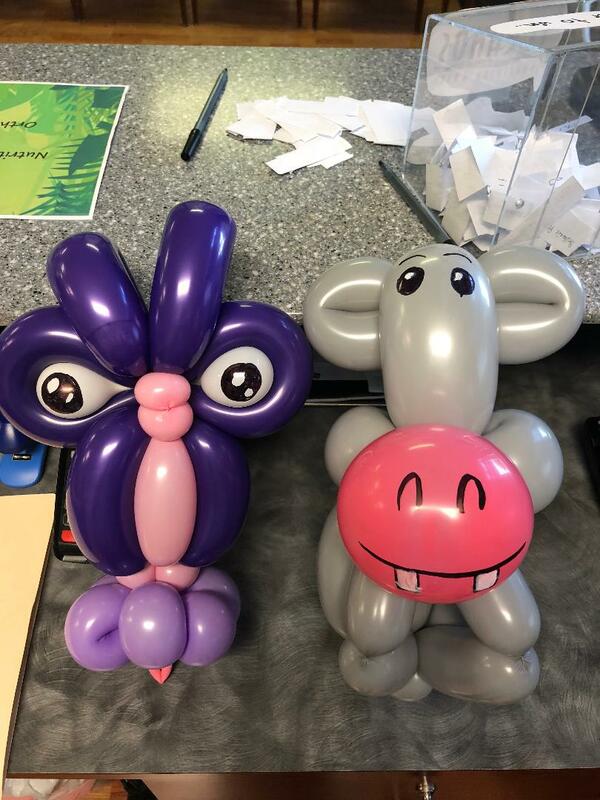 Not only did our patients enjoy the adjustments, but also received great prizes and took part in getting balloon animals for our wonderful balloon artist! 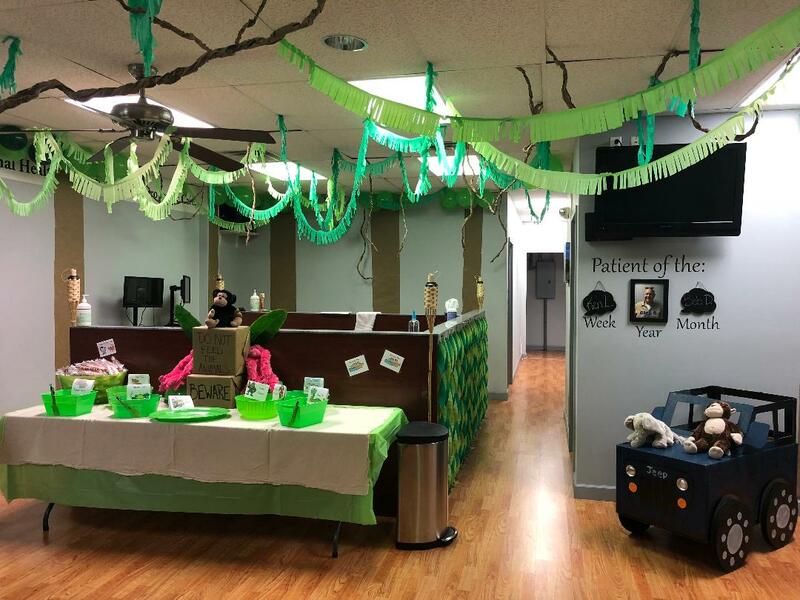 Check out the pictures below to see all the fun! 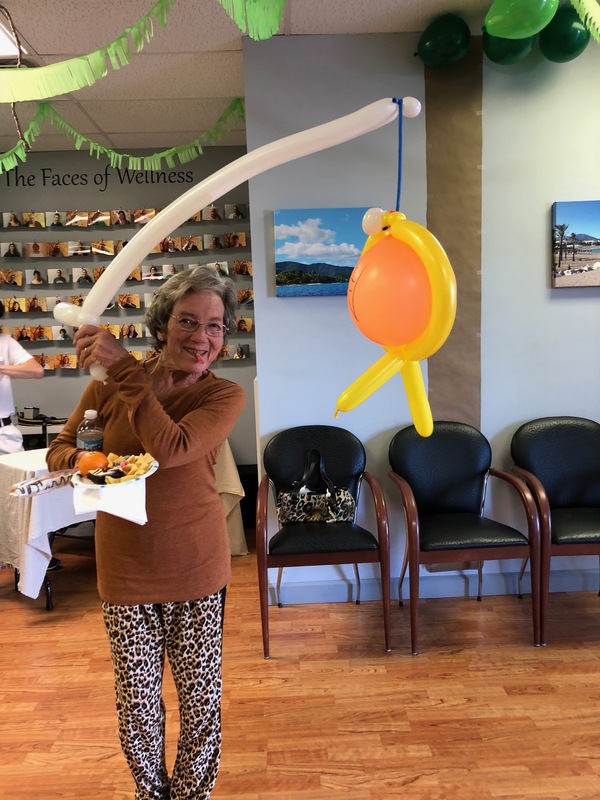 Thank You to all of our wonderful patients who came to celebrate with us! Our office was able to get over 100 people healthier through Natural Chiropractic Care. Not only did our patients enjoy getting adjusted, but they also received great prizes from our very generous sponsors! We look forward to hosting this event next year and continue trying to achieve our goal of creating awareness and getting everyone to their Optimal health! Our office took part in the 30th Annual Working Women's Survival Show. 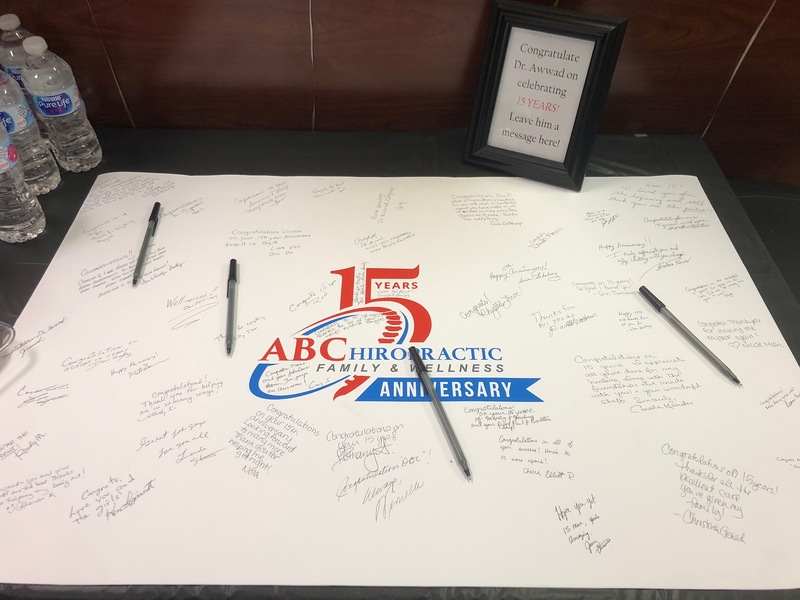 The show was a huge success in that we were able to help thousands of people become aware of the AMAZING benefits of Chiropractic Care & Massage Therapy. Thank you to all of our patients who donated to our Thanksgiving drive! We collected a huge amount of food which was donated to Friedens United Church of Christ. 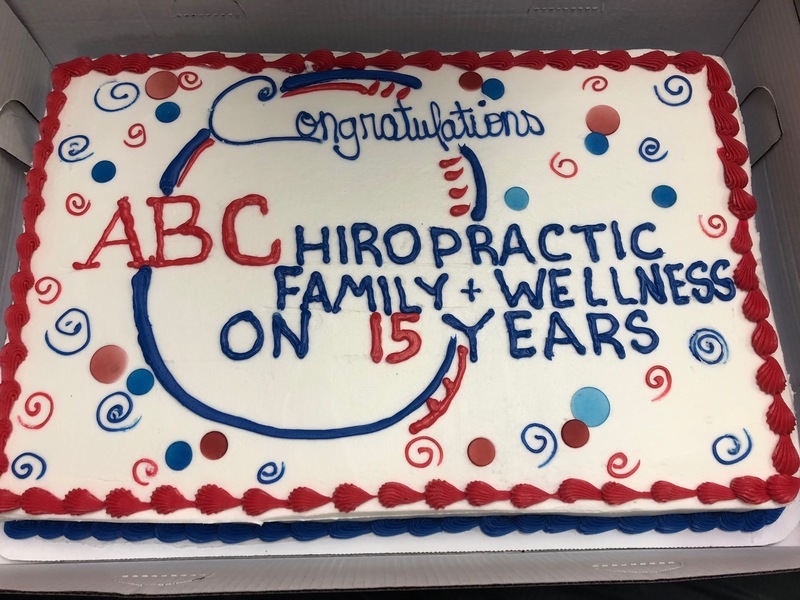 Thank you to all of our patients who joined us on Thursday to celebrate our 13 Year Anniversary!! 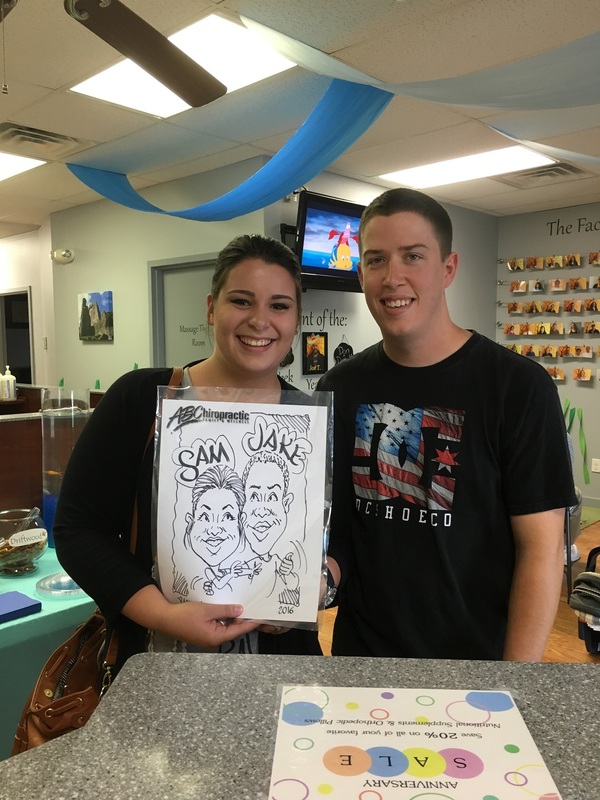 We couldn't make any of this possible without all of our wonderful patients! 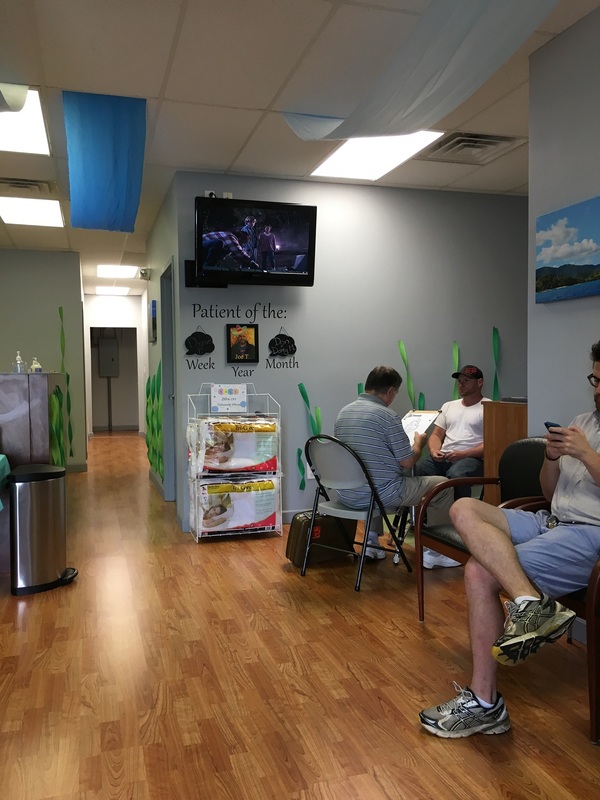 Our office was able to get over 130 people healthier through Natural Chiropractic Care. 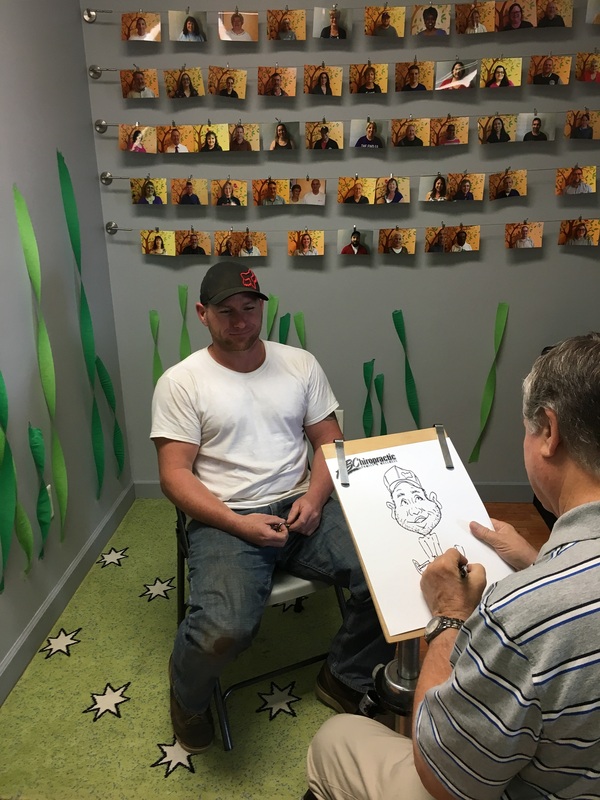 Not only did our patients enjoy the adjustments, but also received great prizes and took part in getting a Caricature done from Jim, our amazing artist! Check out the photos below to see all of the fun!! Thanks to everyone who joined us in honor of our Annual Patient Appreciation Day! 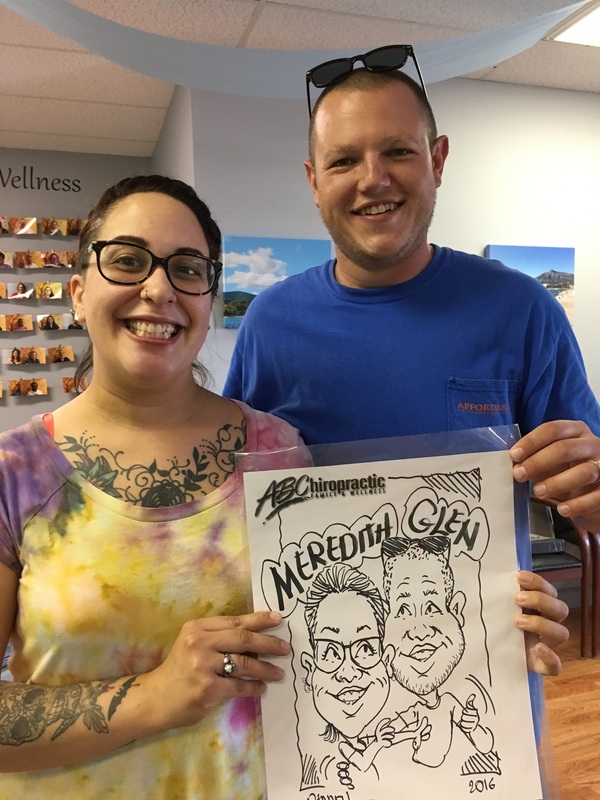 Our office was able to get over 115 people healthier through Natural Chiropractic Care. Not only did our patients enjoy getting adjusted, but they also received great prizes from our very generous sponsors! We look forward to hosting this event next year and continue trying to achieve our goal of creating awareness and getting everyone to their Optimal health! 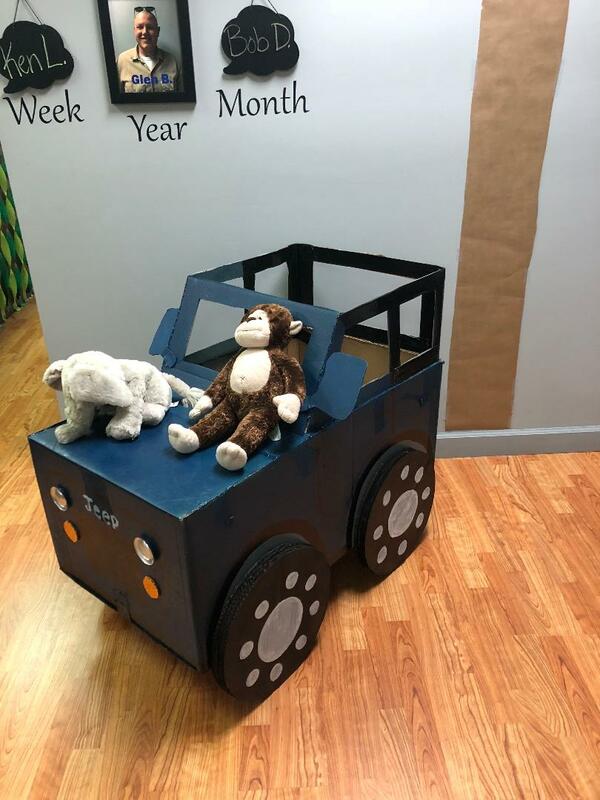 Thanks to everyone who donated to our Annual Thanksgiving Drive. We collected a huge amount of food and clothing donations which were given to Friedens United Church of Christ. 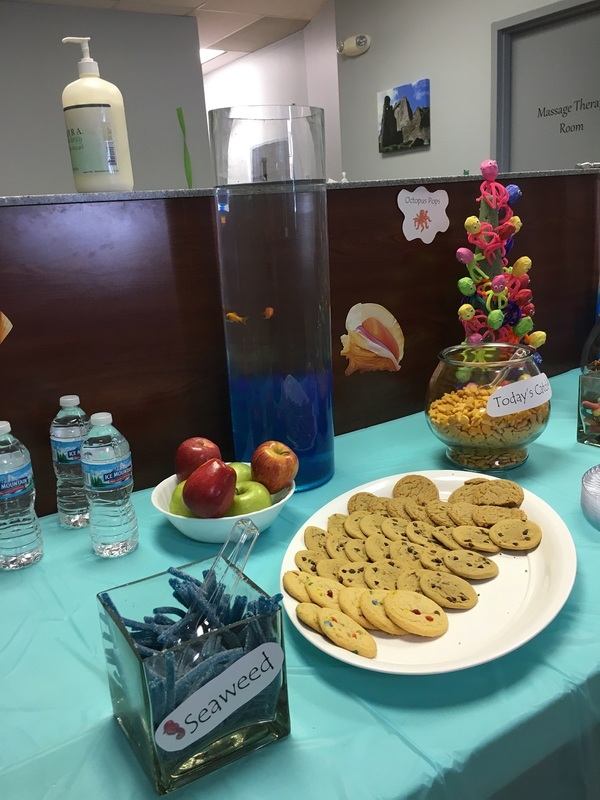 only did our patients enjoy getting adjusted, but they also took part in the great prizes, food, and fun available! We look forward to the next year and continue trying to achieve our goal of creating awareness and getting everyone to their Optimal health! 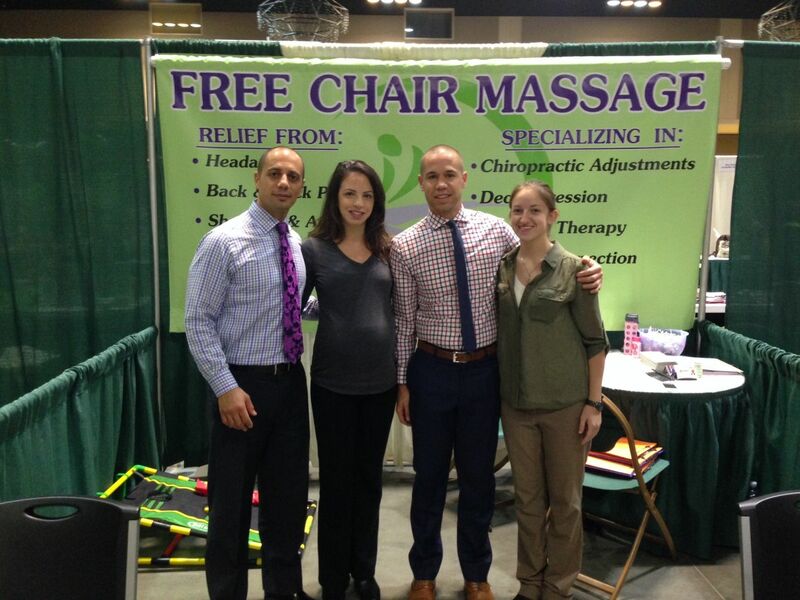 Our office attended the Baby/Kid Expo at the St. Charles Convention Center. Over 75 attendees took advantage of receiving a FREE chair massage and learning more about the benefits of Chiropractic Care & Massage. 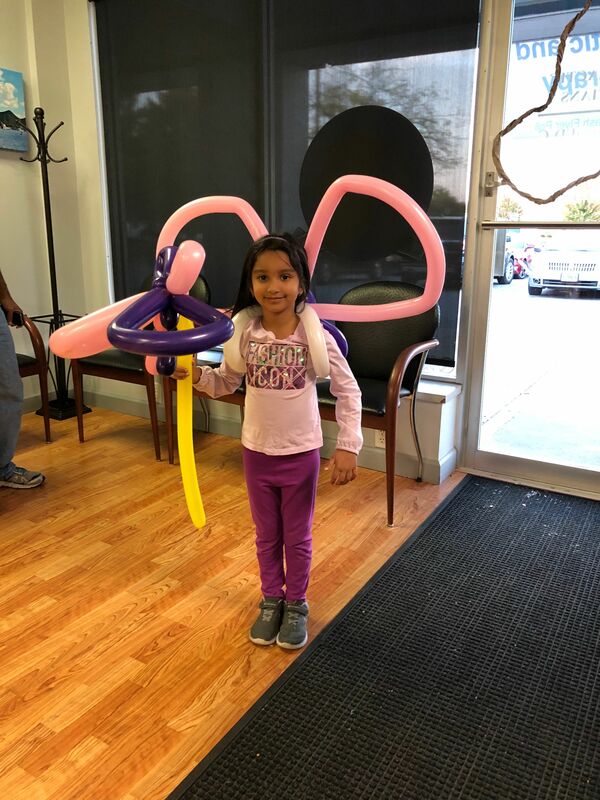 Thank You to all of our wonderful patients who attended! The day was a huge success! Our office was able to get over 100 people healthier through Natural Chiropractic Care. Not only did our patients enjoy getting adjusted, but they also received great prizes from our very generous sponsors! We look forward to hosting this event next year and continue trying to achieve our goal of creating awareness and getting everyone to their Optimal health! Over 150 attendees took advantage of our FREE HEALTH SCREENINGS at the Working Women's Survival Show. 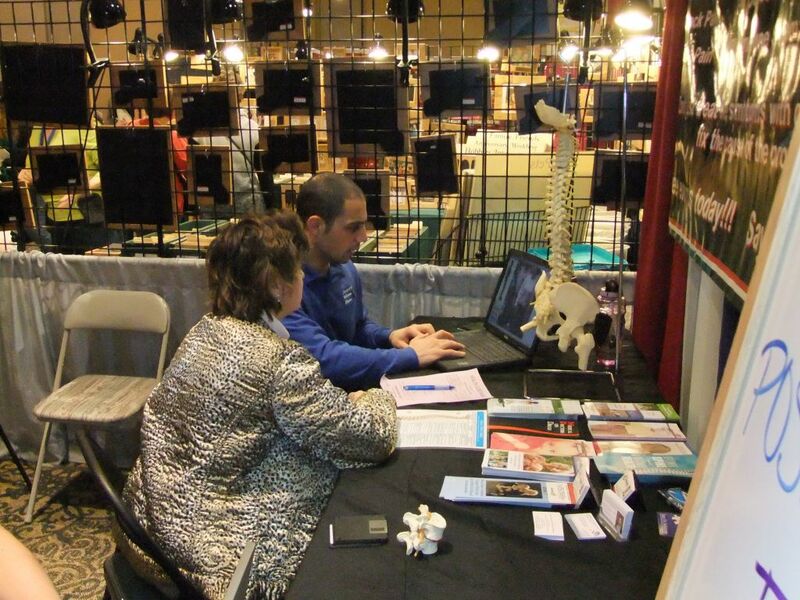 We were able to raise awareness for better health utilizing Chiropractic Care. Thank you to all our patients for their generous donations of personal care items! We donated those to FISH of St. Charles! Your donations made a huge impact on everyone who will benefit from your generosity! Spring Into Health Week !!! 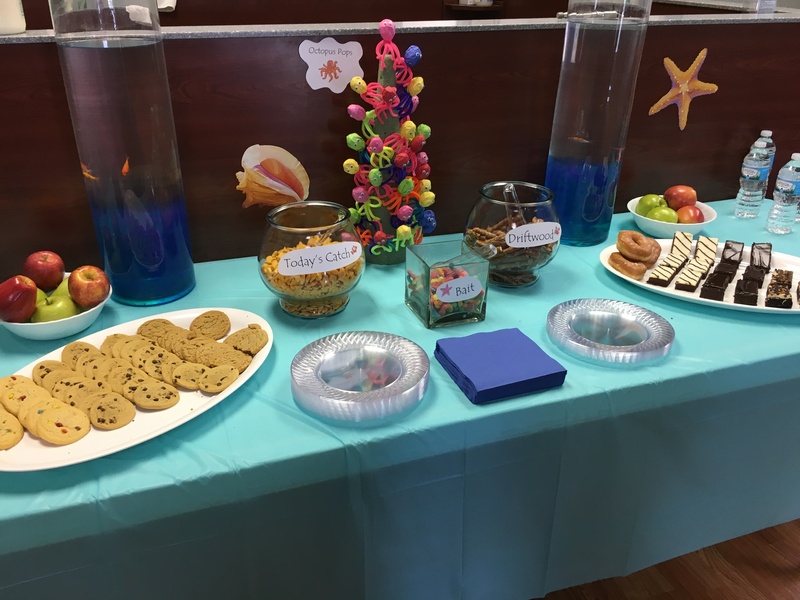 A huge celebration for our patients which included food, fun & festivities while focusing on their health! 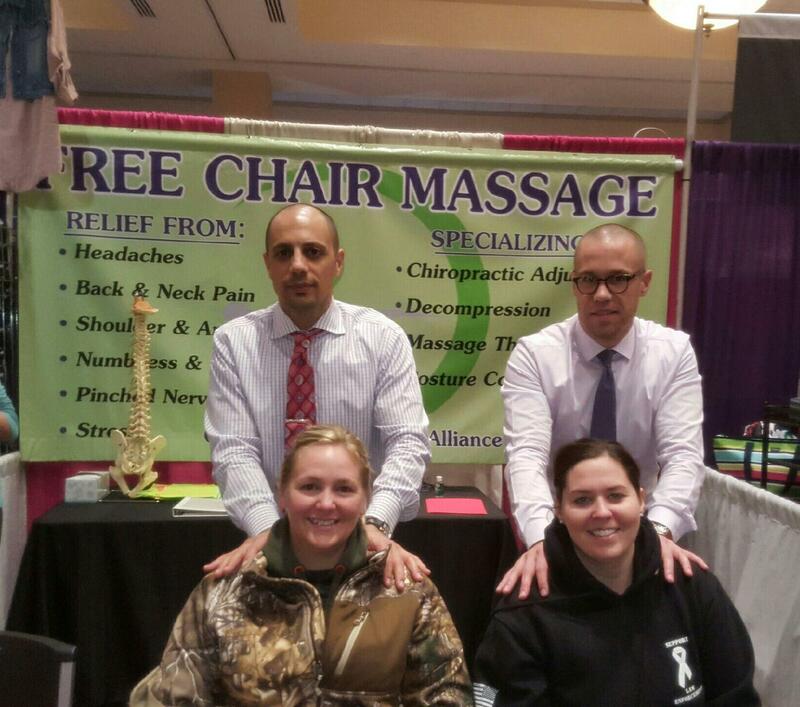 The day was a big success in raising chiropractic awareness in the community. New Patients received a special VIP chiropractic package that week only. 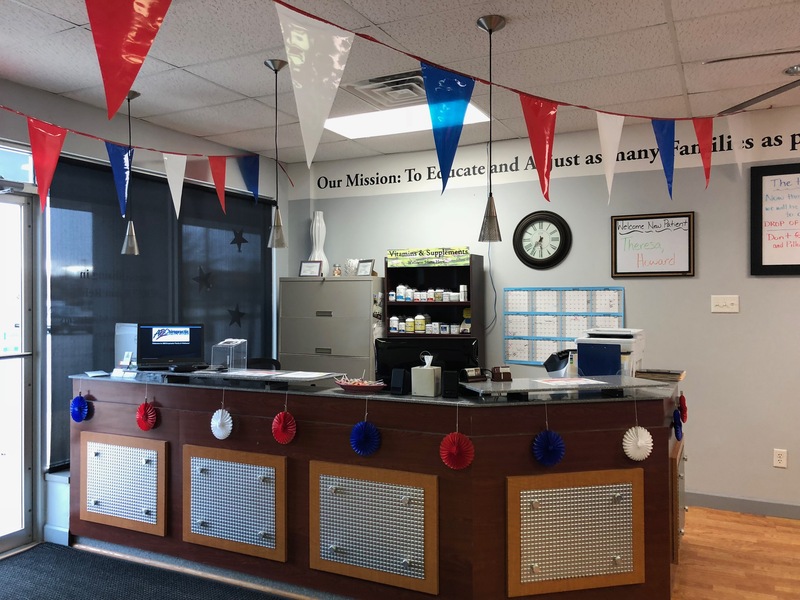 Our office was able to help over 100 people and their families get healthier through chiropractic. We look forward to hosting our next event in the Fall of 2012! Thank you to all our patients for their generous donations of canned food items. 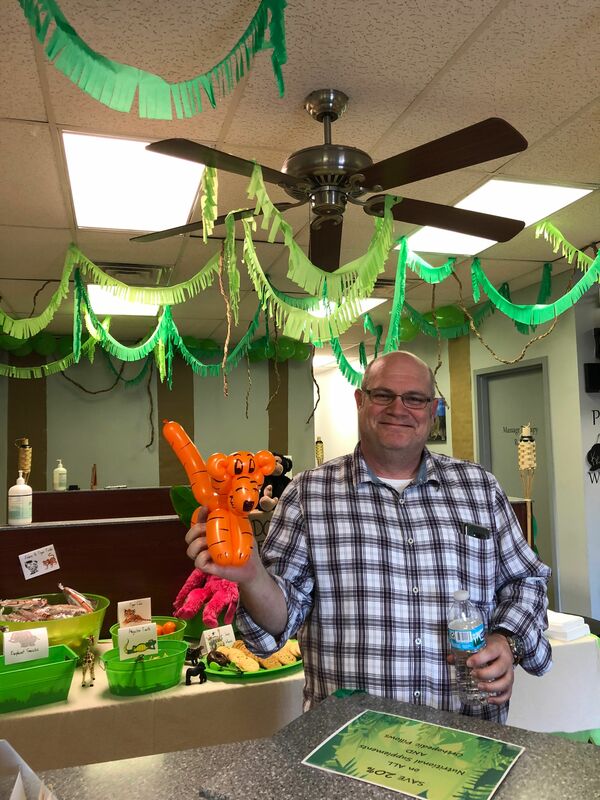 We donated those items to FISH of St. Charles at put many smiles on many faces!! 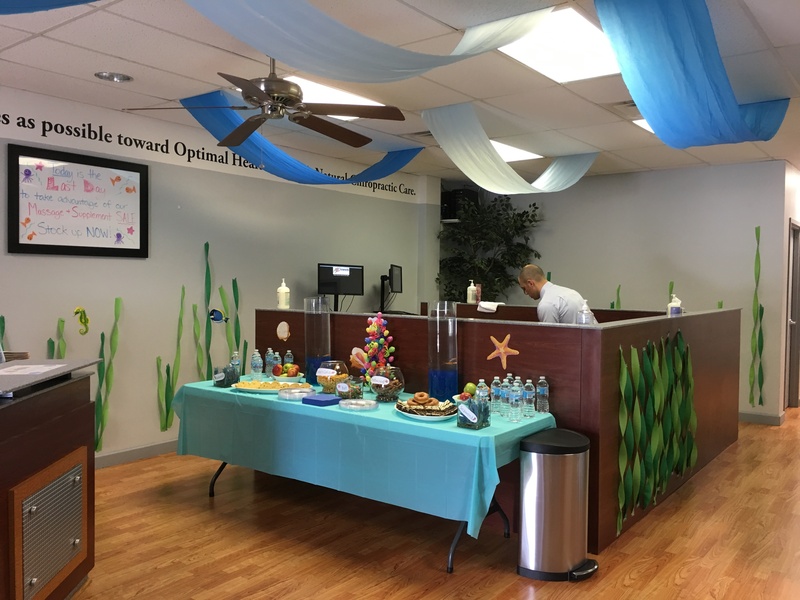 ABChiropractic Family & Wellness celebrated our 8 Year Anniversary with a Hawaiian themed Luau (which also included a special "LIVE Fire Performance" by Eli with FireTech). 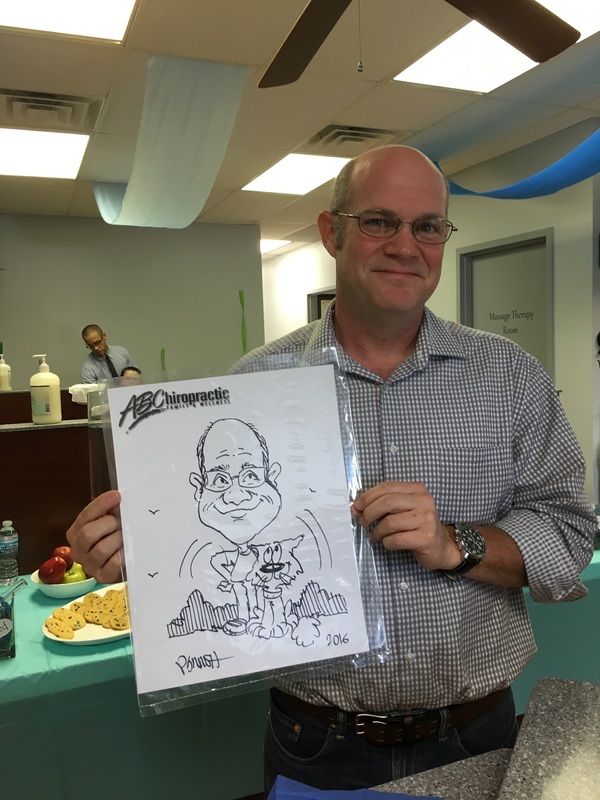 We were able to celebrate with 80 of our most valuable patients. Our office looks forward to sharing in many more years with you! 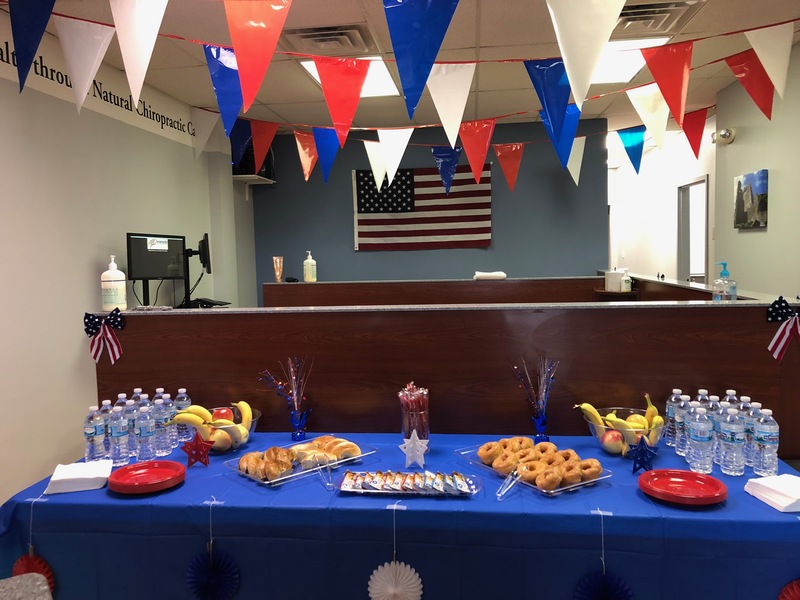 Thank You to all of our wonderful patients who attended! The day was a huge success! Our office was able to get over 120 people healthier through Natural Chiropractic Care. Not only did our patients enjoy getting adjusted, but they also received great prizes from our very generous sponsors! We look forward to hosting this event next April 2012 and achieving our goal of creating awareness and getting everyone to their Optimal health!